Another wonderful Article! Thanks for helping artists. 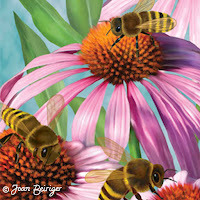 Thanks Joan, just getting started with full scale licensing efforts for my artwork, appreciate your share! Hi Joan, I just wanted to say thank you for sharing your insight and advice on your blog. You are very generous. Thank you for this article, Joan. It is very helpful. really happy to have stumbled across your blog. I hope to have some representation for my work in the coming year. When submitting art to a manufacturer or agency, what information have you found to be most important to include? If you are not a well-known brand like Disney or Marvel, then what about a brand makes it a desirable license for a manufacturer or agency to take on? You referred to a brand in regards to artists. Now a days there are very few manufacturers and agents that believe that artists are brands. But what they really mean is it does not matter if an artist is a brand because the majority of consumers do not purchase products with art on them because it was created by a certain artist but because they like the art. So what manufactures are looking for is that the art style and themes appeal to consumers. And the best way to find that out is to research the manufacturers product lines via online, in retail stores or at trade shows. Agents not only are looking for artists that have art that appeals to consumers but have a variety of themes (holiday, flowers, coastal, animals, party, etc. ), a large body of work, and know Photoshop to manipulate art to fit different product shapes. So make sure you include that information when you ask an agent for representation.